Pay full price for pet food? Never! 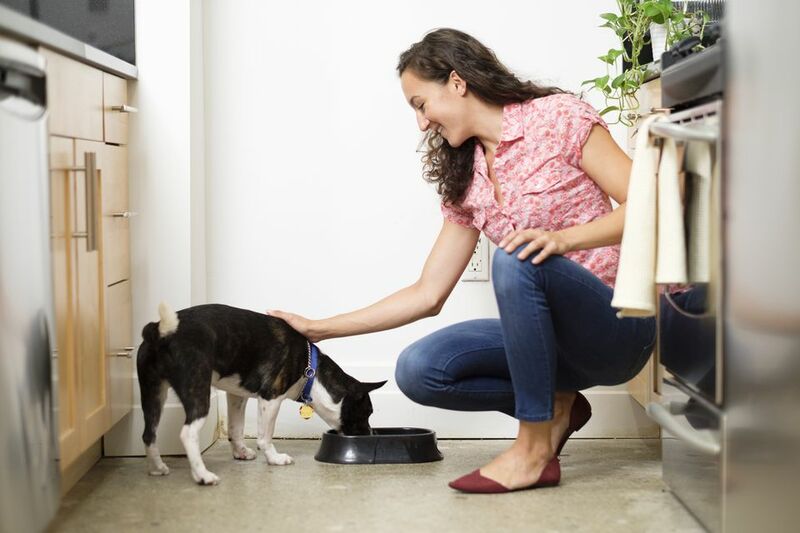 Use these tips to save on pet food each and every time you shop. The coupon inserts in your Sunday paper are a good source for pet food coupons (sometimes even pet food freebies), but if you really want to max out your coupon savings, add printable coupons to the mix. You'll find them on many of the pet food manufacturer sites, on coupons.com and even on your grocery store's website. Tip: "Like" all the big pet food brands on Facebook to gain access to exclusive coupon offers. New pet food products come out all the time, and they're often accompanied by "try me free" offers. If your pet isn't picky, test-driving the latest grub is a great way to feed your pet for free. Science Diet is just one brand that likes to run pet food rebates. If you buy the same pet food and shop at the same pet stores over and over, you deserve to be rewarded for your loyalty. Fortunately, many companies agree. Sign up for all of the rewards programs that are available to you, and start racking up some free loot. Petco's Palsrewards is one program to check out. Cooking from scratch is a good way to save on human food; it also happens to be a good way to save on pet food. Experiment with several homemade pet food recipes until you land on one (or more) that your faithful friend likes. Not sure where to start? Try some homemade treat recipes. They usually aren't any more complicated than making human cookies, and your efforts are sure to be appreciated. Big bags of pet food are heavy and awkward, but they're usually quite a bit cheaper than smaller bags. Compare unit prices, and haul home the best deal. Tip: Want the bulk discount, without having to wrestle that big bag in and out of your car? Find a website that offers free shipping, and let someone deliver it to you. Schedule regular deliveries of items that you use all the time and many stores will give you an extra discount on those items. This is a great way to save on pet food and to save yourself a trip to the store. Chewy.com, Petco, and Amazon all have subscription programs. Manufacturers frequently stick coupons in and on pet food packages, so be sure to give the packaging a once-over before you check out at the store and again before you toss the empty container. The cheapest pet food isn't always the best deal. Before you fill your cart with bargain-priced food, take a minute to compare nutrition labels. There are some pet food ingredients that you may want to avoid — paying a bit more for better food could save you vet bills later, and result in a healthier, happier pet. A diet of fresh meats, vegetables and fruits can be very good for your pet and your wallet. Read up on the raw food diet, and decide if it's a good option for you and your pet. Get in the habit of asking your vet for coupons and food samples whenever you're in the office. Food manufacturers send them plenty of both, so they should be happy to oblige.